New MOON April 21st, 12:18am PDT. The New MOON in Washington DC represents an opportunity to activate a cosmic visitation for the planet. We are on the verge of a cosmic visitation unlike any of the typical visitations Earth experiences on a semi-regular basis. From time to time our solar system is privileged to experience a visitation from beyond our solar system. This is a normal occurrence and often involves a meteor or asteroid. These cyclic visits are common patterns which bring our solar system periodic messages from the larger galactic community in which our own star, the SUN, is connected as an important galactic member. For some of us, the idea of a cosmic visitation is a new concept. From an esoteric perspective, this is a natural process which correlates to a natural phenomenon we often take for granted called pollination. In the natural world, the bees, the wind, and other transporters are busy connecting all of nature together for the purpose of growth. In this process, all the "seemingly" independent life-forms are connected together in a manner which allows for expansion and for genetic evolution to occur on a regular basis. In a similar manner, our solar system is also pollinated from beyond its boundaries. Our solar system is not nearly as isolated as it may appear, and as all esoterics agree, is a living and dynamic system connected to the rest of the galaxy. Our solar system, our Earth, and individual beings are all receiving messages, ideas, and archetypal information from outside the solar system on a regular basis. This is a natural process of the cosmic eco-system, to help aid in the evolution of our planet and in the expansion of consciousness itself. It's important to realize that at every level of existence we are not alone in the world, nor in the Universe. Our April 21st New MOON is a special event that will grab your attention once you realize how rare it is. It's extremely unusual to have a galactic visitation on the New MOON, but this is precisely what is occurring. This New MOON cosmic source of light does not emanate from our SUN, but originates from the Pleiades star system, which resides in the Taurus Constellation. The timing of this event (SUN and MOON 2° TAURUS) correlates to a rare time of year when the possibility for a cosmic impregnation is aligned with the receptivity of Earth. Furthermore, all of life's biological structures (SATURN, 26° LIBRA) have the capacity to receive this comic infusion of light, like the planting of a cosmic seed. The purpose of Saturday's New MOON is two fold. First, to increase planetary awareness and cooperation, and second to help us begin functioning multi-dimensionally, at both a personal and planetary level. In other words, if our consciousness is receptive on the New MOON, each of us will experience an influx of a new cosmic essence, as a new source of light and awareness, with the real possibility of increasing our experience of cosmic consciousness and connection. The emergence of something new always comes forth through some form of crisis. In this sense, "crisis" refers to a natural and positive form of change. Too often, our culture denotes a crisis as something to be avoided at all cost. Where trouble and danger lurk there is always the potential of a crisis, but at another level of understanding a crisis is a turning point or a point where decisions matter the most. The process of growth always infers crisis at some level. For positive growth to occur, it must respond to the natural changing circumstances. Growth becomes stunted when adaptation and change are not embraced. Crises become troublesome and dangerous when the need for adaptation and growth is ignored or completely rejected. There comes a point of critical need where the evolution of consciousness depends on the ability to function and operate in more than one level of existence. At some point the idea of living in a vibrant eco-system starts to emerge in our consciousness. We're already familiar with the idea of a biological eco-system, but the critical need has now arisen where each of us needs to understand our part in the larger planetary eco-system of consciousness. A critical change in humanity's inertia of isolation-thinking is hidden in the cosmic message of this current New MOON. We are evolving into multi-dimensional beings. Hidden in this cosmic visitation is the seed of a new essence of living and operating in more than one dimension at the same time. This visitation offers us a new ability to work, think, live, and function beyond the common 3-D perspective. This New MOON is, in essence, offering an advancement in our evolution of consciousness as multi-dimensional beings living as full citizens in connection with all beings on the Earth and within the larger Universe. As this visitation of cosmic light is coming to our planet, there is a hidden and powerful personal opportunity to expand our awareness as multi-sensory beings. For some this will be an expansion of awareness that are already developing. For others it will be an initiation into a new abilities. What needs to be activated is the ability to be both an individual and to simultaneously live at a global or even galactic level. In this sense, being multi-dimensional means to expand beyond our current limited perceptions of reality so we can experience the richness of other realms. To activate the potential of this special infusion of cosmic light, try working with the following four-step process during the week following the New MOON (Apr 21-Apr 29). The following process, using creative visualization, action, decisions, and will, needs to be tailored to your own circumstances and experience. Creative visualization leads to new awareness, and inspires action resulting from your vision. Action requires personal decisions to expand your sense of purpose, and the use of will power to overcome resistance and inertia. First, it's important to creatively visualize (using your higher mind) the image or idea of transcendental light planting a cosmic seed or essence that holds the potential to expand your sense of cosmic consciousness. Second, your vision must be followed by a supporting action. Identify an area of your life where cultural bias or limited thinking may still operate (limiting your connection to others), and then do something (an action) that changes your behavior. This can be an action as simple as having a conversation with someone you normally wouldn't. Think creatively and watch for synchronicities to expand your sense of community. Third, expand your sense of purpose by making a new decision that expands your personal sense of destiny in the world. Spend a few minutes contemplating your role in the world, and feel yourself expanding your role to include a greater sense of planetary connectedness. Make a decision to incorporate this new expanded level of planetary cooperation in your life path. Fourth, summon your power of "will" to focus your life's purpose and to create stability around any new awareness you may experience. Your ability to use your will and determination to follow through with your actions and decisions allows you to begin operating in a new dimension. This year's April (Taurus) New MOON is occurring at the same time a powerful cosmic visitation of light is impregnating our planet and individual consciousness. The purpose of this infusion of light, from the star system of the Pleiades, is to aid in the expansion of consciousness to allow all of us to experience the ability to work, think, and operate in more than one dimension at the same time. This is an ability which is necessary for expansion into an awareness that supports the new level of wholeness and cooperation which is emerging on a planetary scale. There are always beautiful synchronicities in universal cycles. 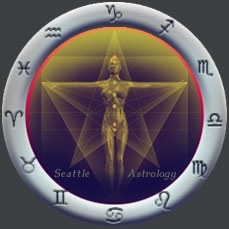 This cosmic visitation is in direct connection and supporting the unfoldment of the larger cycle of Neptune in Pisces which began February 2012. This Cosmic Event supports the larger 13-year Neptune cycle, in which the boundaries of dimensions begin to overlap and old structures dissolve, resulting in the need for new levels of organization and relationship to emerge. Contact me for a life changing astrology reading. The powerful pentagram can operate in two basic orientations. The positive orientation activates the higher mind of spiritual-mental values which support the world through leadership. The negative orientation activates materialism and power for the sake of controlling world leadership without spiritual principles. This courageous group of light workers will be activating the positive orientation of Washington DC's pentagram, in an attempt to activate this infusion of cosmic light at this important planetary site. While helping my friends prepare for their trip, and working with the specific potentials of this Cosmic Visitation at Washington DC (an important power site for the planet), I intuitively visualized that a similar cosmic light visitation also occurred close to the beginning of Atlantis. This event helped jump-start Atlantean consciousness in a profound way, and expresses the importance of this event in our time. I am personally holding psychic space with a multi-dimensional awareness for my friends who are traveling to support this important act of cosmic synchronicity. I encourage all of you to do the same. Thank you and blessings to you all.